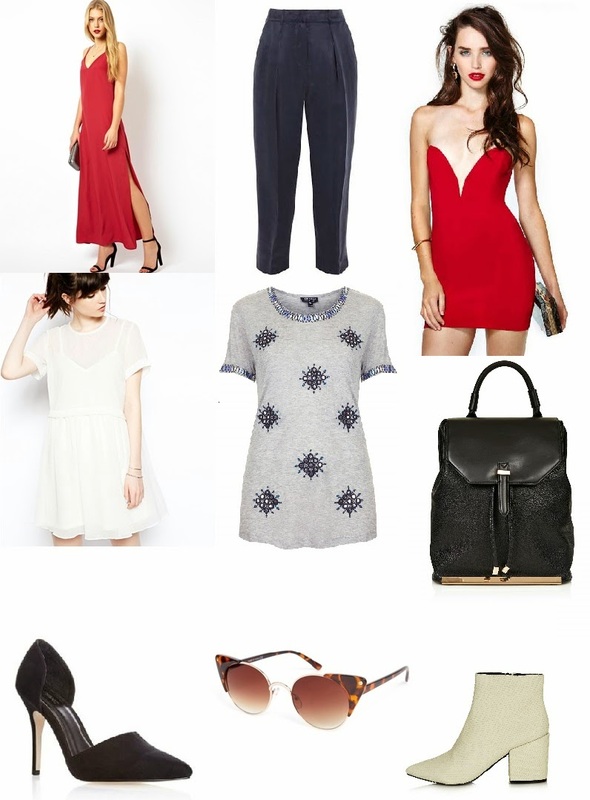 There are so many things on my wish list at the moment, in all honesty this is simply a snapshot. Red was a prominent colour in the Autumn/Winter 2014 collections which made me realise that I never buy clothes in this colour... I do like it so I am not entirely sure why I don't own anything red. Perhaps I feel it is too bold for me or doesn't suit me, either way I am now full on lusting after a red dress. I think there is something sophisticated, elegant, and yes, bold, about a red dress. It is always eye catching and stylish whether it is in fashion or not. I love this Topshop tee, I think it would look great worn with jeans, boots and a leather jacket or gilet. Folk is also a massive A/W trend so this is a great excuse to invest now! I adore your blog and your style! Those Topshop boots are perfection, think they may have to be added my own wish list! I'm exactly the same with the colour red, I love how it looks but have hardly anything in that colour! I think I subconsciously don't buy it in case it doesn't go with my skin tone which is a bit silly as I love red lipstick haha.